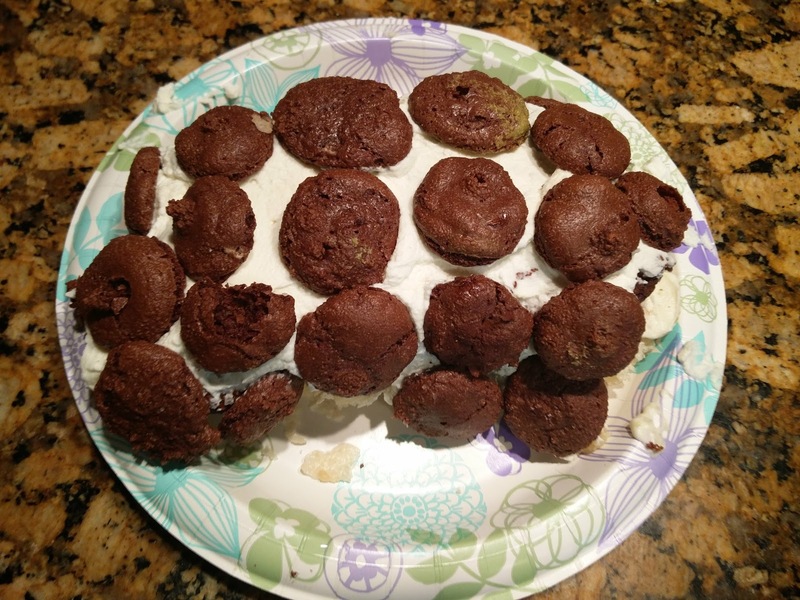 So we tried to make macaron cookies...such as here, however, they uummm didn't go as planned. Instead of meringue dots, we made 3 rectangles to bake for the cake layers. And the ones, we did attempt to make into meringues that kind of failed, we used as the cake decorations. For the frosting we used just whipped cream.